As you may have read some time ago on the editorial page I started this as a project after building my new workshop. The basic design is mine and as you can see is still a little crude in places as it has been a design that has evolved, some parts still need to evolve into their final design and are there just to allow me to run the engine and check it out. This short video shows it running, roughly 60rpm and runs for about 20 minutes on a mug of hot water. The engine was very hit and miss as to whether it would run at all and took a lot of coaxing along. 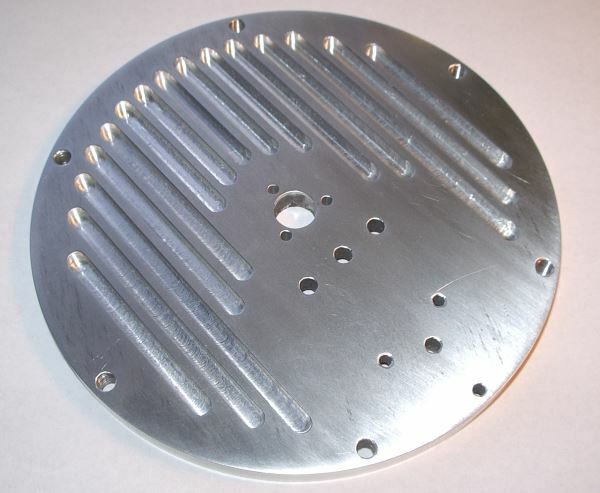 The next stage was to try and improve the cooling of the top plate. 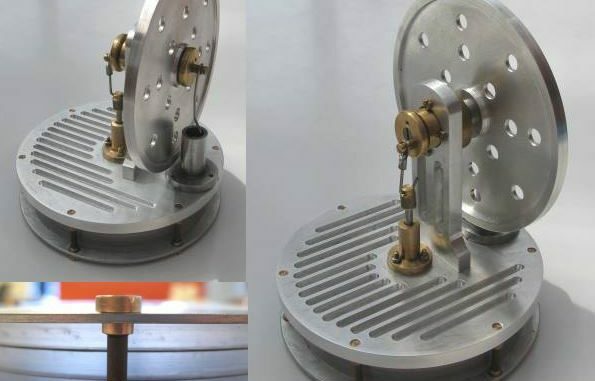 The video shows the engine in it’s early days without the cooling fins on the top surface of the displacer cylinder and with steel bolts clamping the displacer together. The steel bolts were particularly poor as they resulted in a very good heat transfer path that I really didn’t need. The answer was to make bolts with walnut shafts and copper heads and copper threads. In the above image you can see that these are rather beautiful. The displacer itself was made from the pink builders insulation. I had recovered scrap from a skip on the building site that we were living at the time. 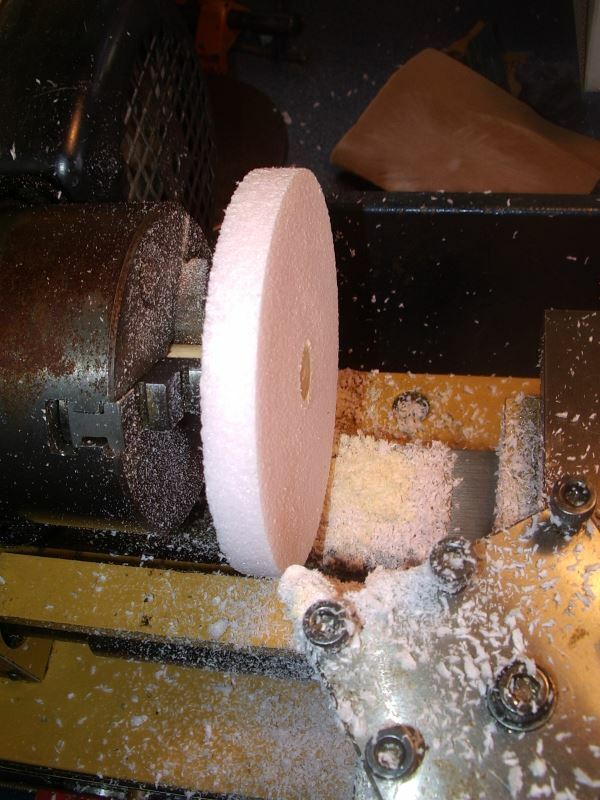 Machining the foam is not easy. Firstly I drilled the foam slightly smaller than the diameter of a piece of wooden dowel and glued this in place with PVA. Leave this to thoroughly set before even trying to machine. This wooden dowel was then held in the lathe chuck and with a fast speed ~1000rpm and a sharp high angle HSS tool carefully machine to size. Fine cuts and take your time. Finish the surface with fine sandpaper. The displacer needs to be machined to leave a gap between it and the cylinder wall/ The idea is that this moves (displaces) the air between the hot and cold plates of the engine so expanding and then contracting the working air in the engine. I’ve made better models and better engines that you can see in my gallery page – but the low temperature stirling engine keeps drawing me back to have another go.